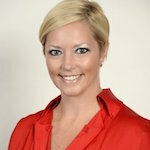 She joins from David & Goliath Licensing which she founded and was CEO. Prior to that she was Director of Licensing – Domestic Sales & WW Brand Management at MGA Entertainment. Previously she worked at Lucky Brand Dungarees and Liz Claiborne.